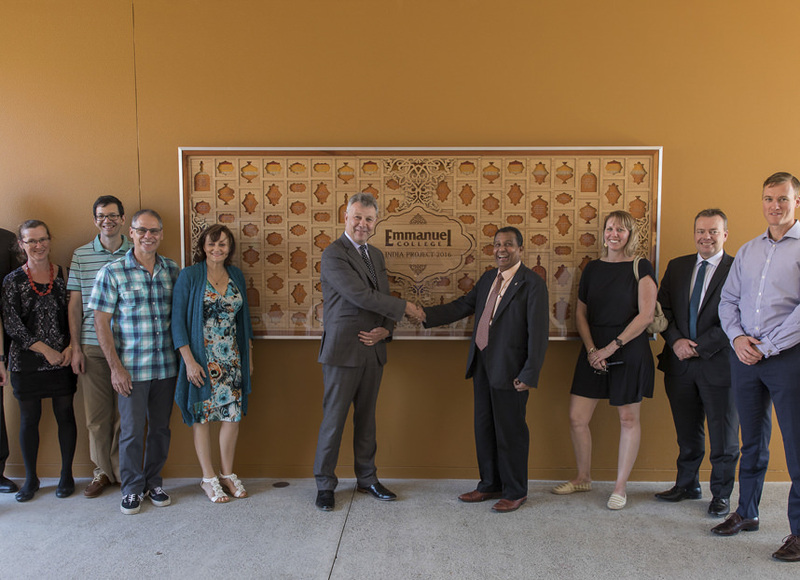 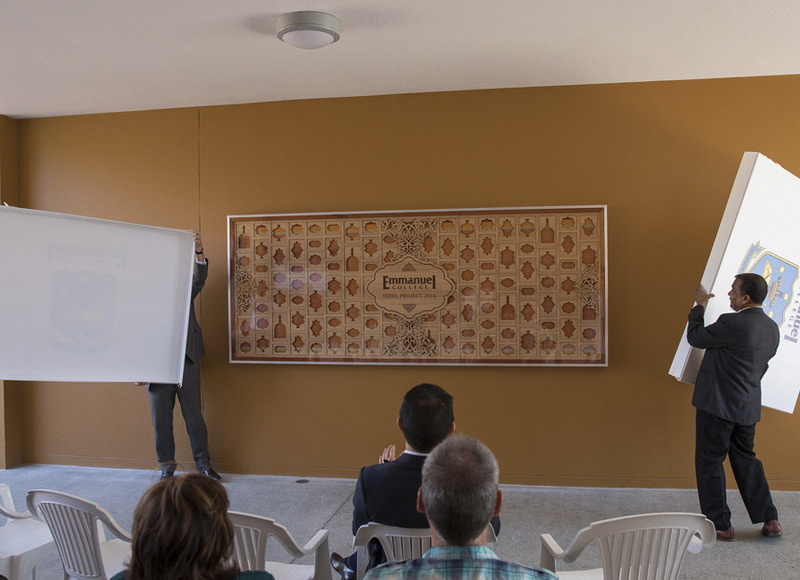 We are so proud to showcase one of our most recent and important jobs, the Emmanuel India Project, a partnership project between Queensland’s own Emmanuel College and The Institute for Indian Mother & Child (IIMC). 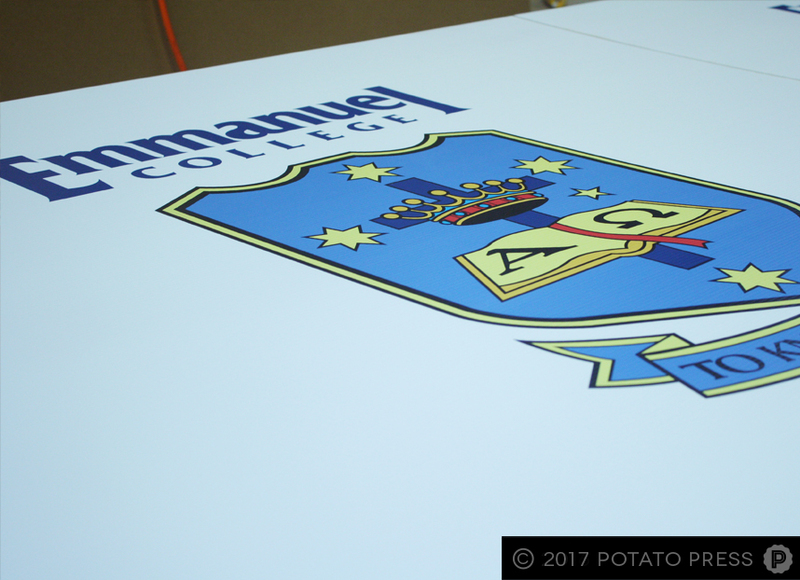 With a goal of raising $50,000 to fund, build and run a brand new, monsoon-proof concrete school in West Bengal, India, by November 2017, the Emmanuel India Project realises the importance of providing education to children who may not otherwise be able to attend school, be it due to overcrowded schools, a lack of teachers, or no access to transportation. 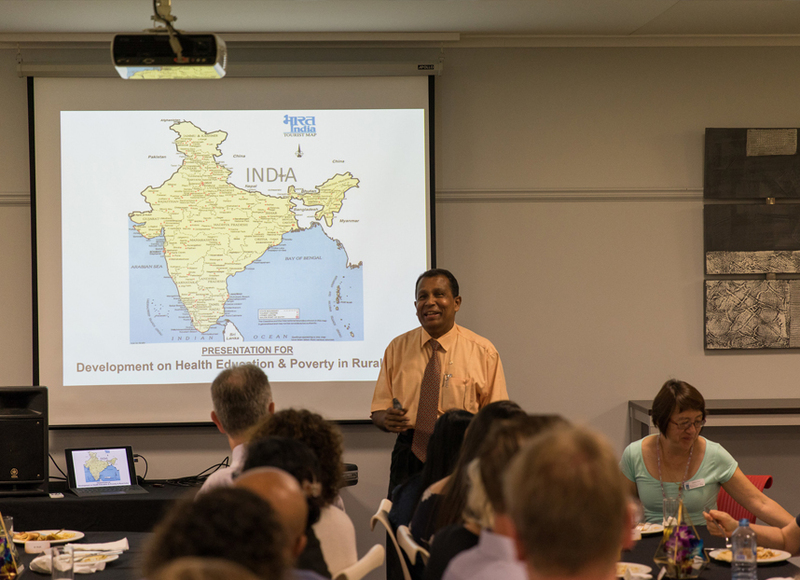 With a current illiteracy rate of 56%, West Bengal’s children deserve a better, happier future through education. 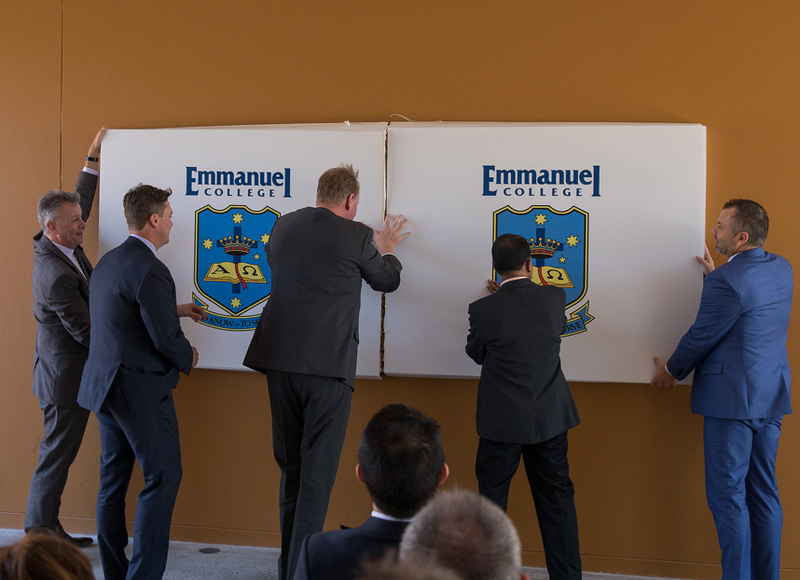 Emmanuel College, with two locations in Brisbane and the Gold Coast, is one of the leading schools in Australia. 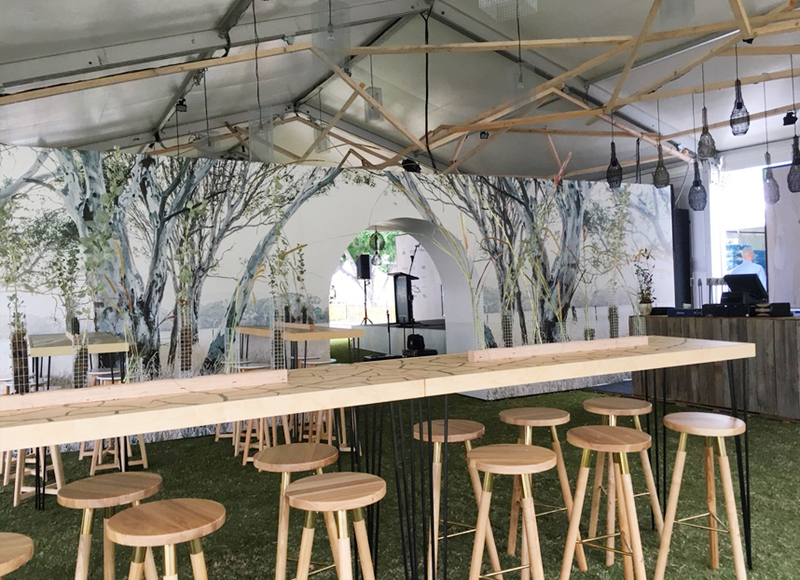 With 1,500 students and some of the best academic results in Queensland, its alumni includes prestigious accolades such as olympic athletes, international CEOs, national performers and social justice advocates. 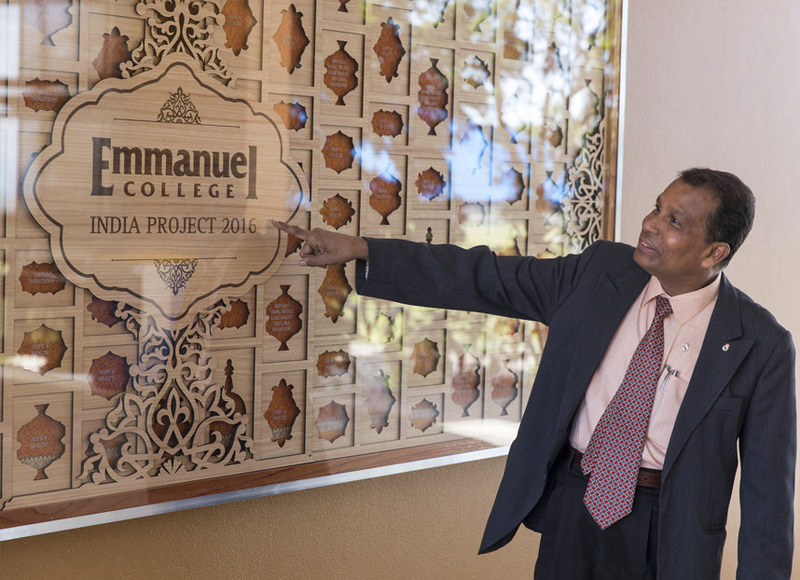 The funds raised through this partnership, in addition to building costs for the school itself, will also cover students’ fees through the IIMC global sponsorship program, provide teacher mentorship through Emmanuel College’s ongoing PLAID program, and facilitate alumni volunteering both in and out of the school. 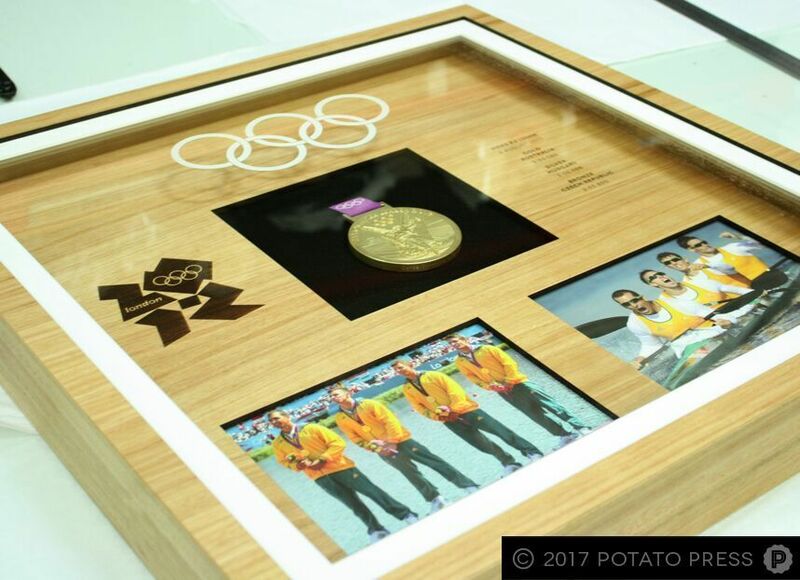 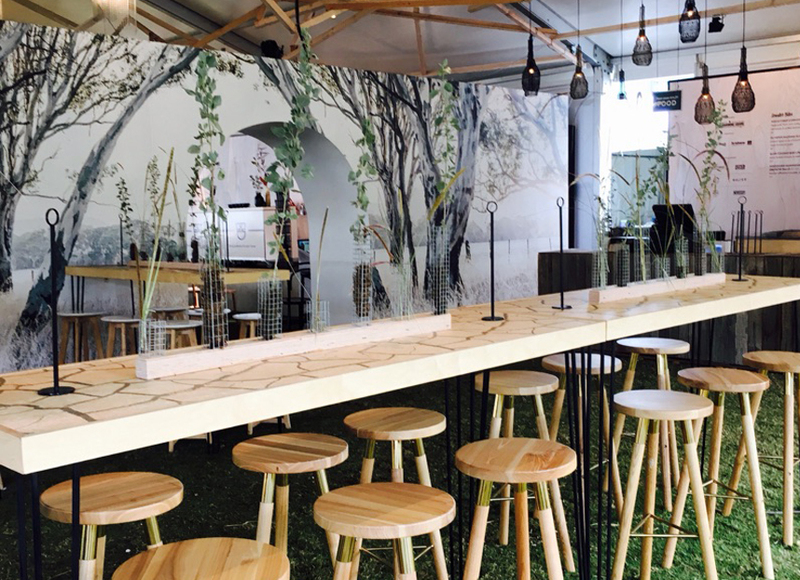 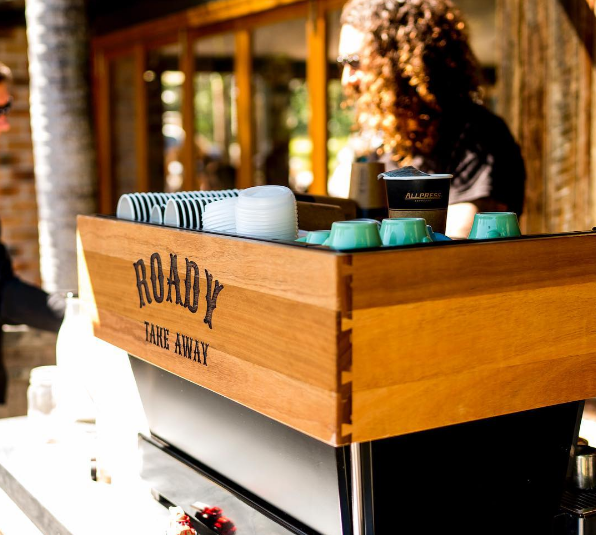 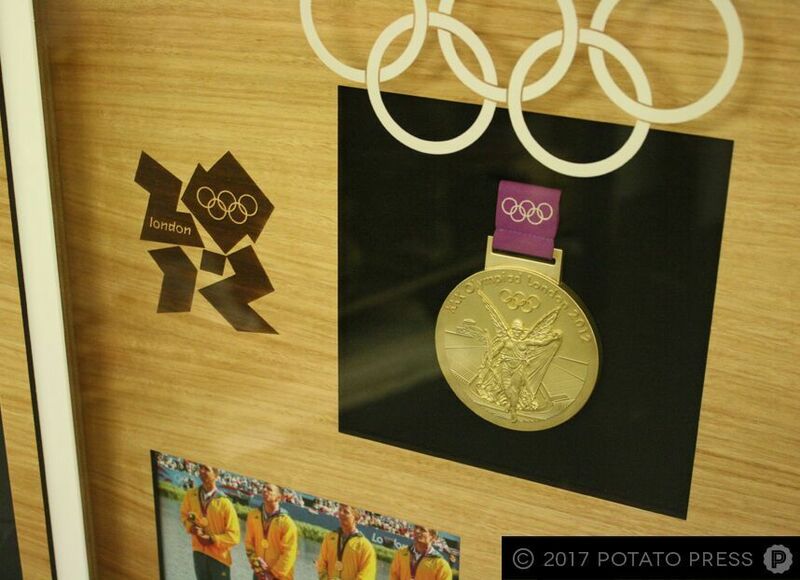 For our contribution, we utilised our team’s wealth of experience and creativity with custom timber joinery, laser etching and engraved details, and a laser cut custom timber veneer. 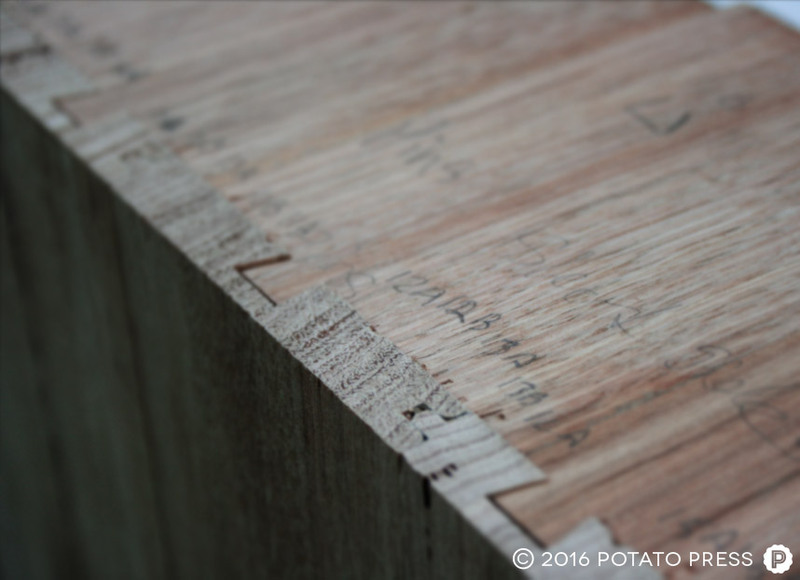 Using both Queensland blackbut and a solid Red Cedar frame, our project was designed and built entirely in-house. 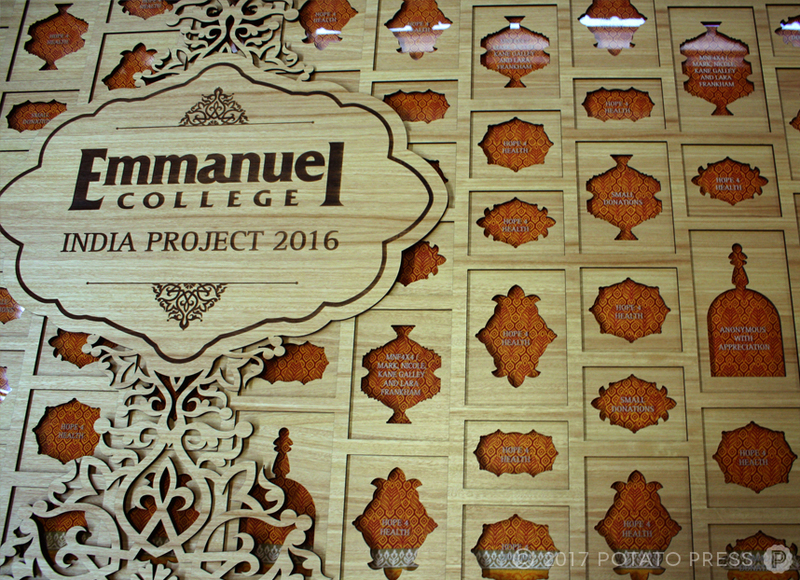 We are thankful to be a part of this heartwarming project, and look forward to leaving a lasting impression for such an important cause. 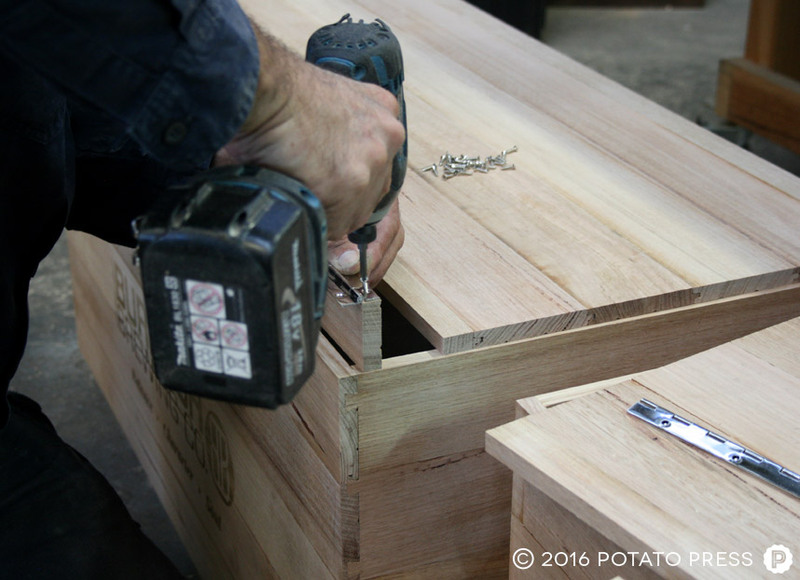 Do you have a custom project you’ve been dreaming up? 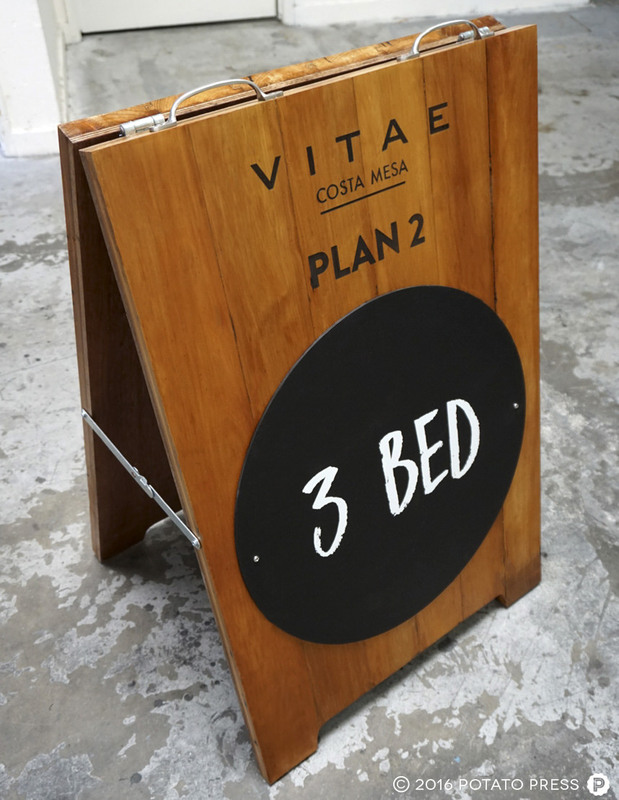 Feel free to get in touch for more information. 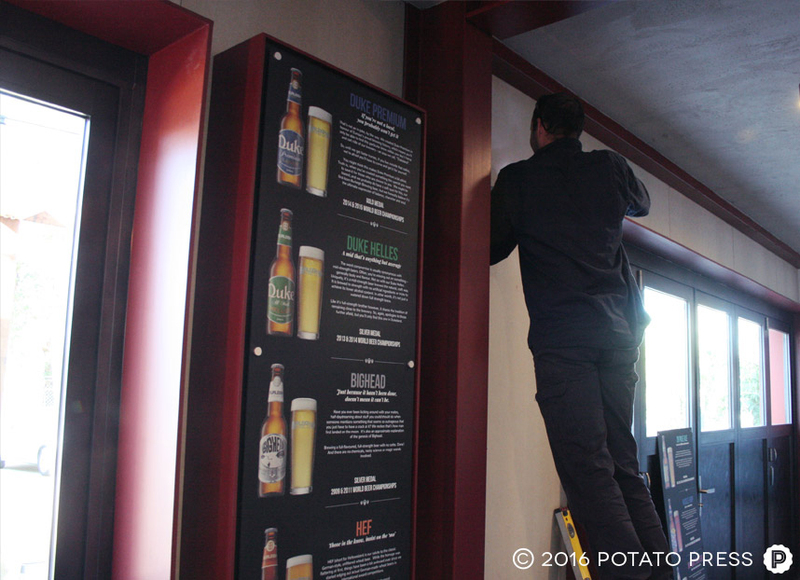 Here are some great shots from photographer Alister Randal documenting the day of the reveal. 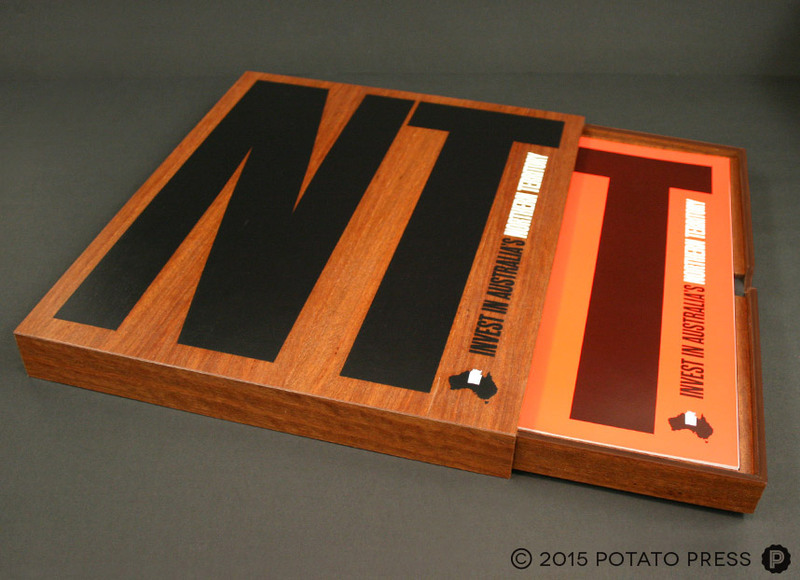 We even created custom branded packaging for the big reveal! 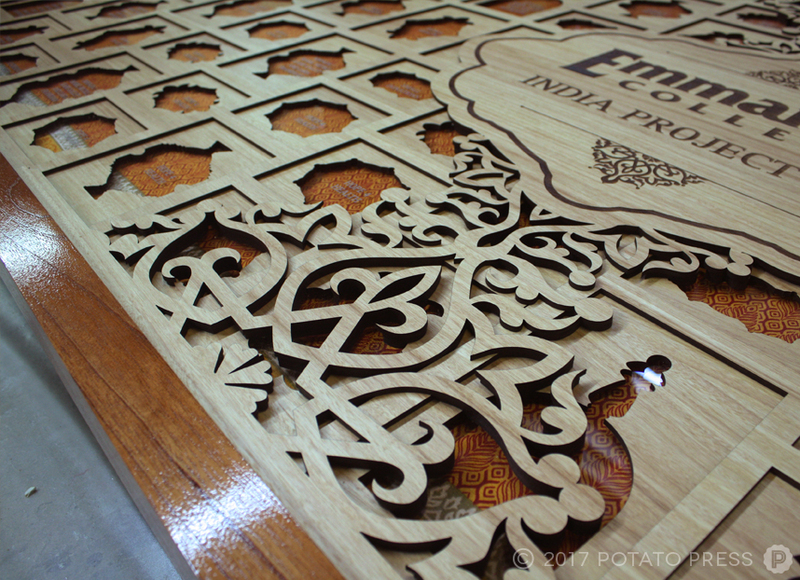 This was a special project created for a US client. 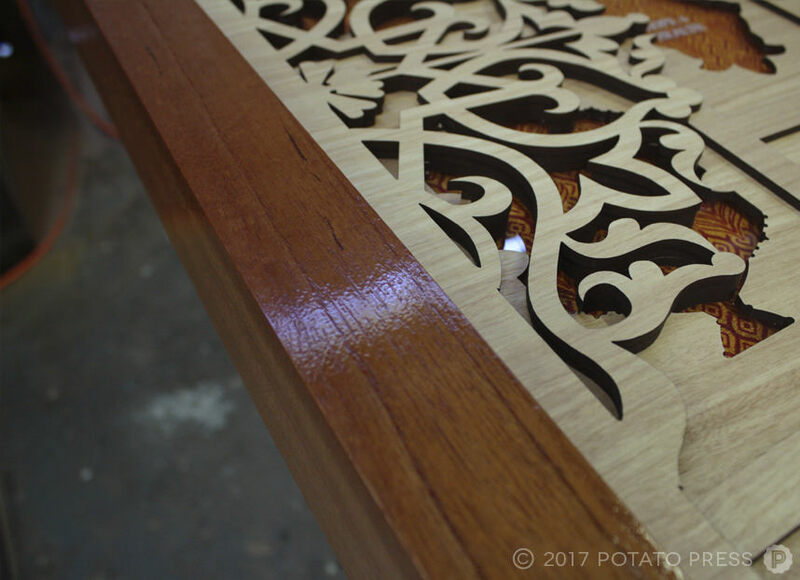 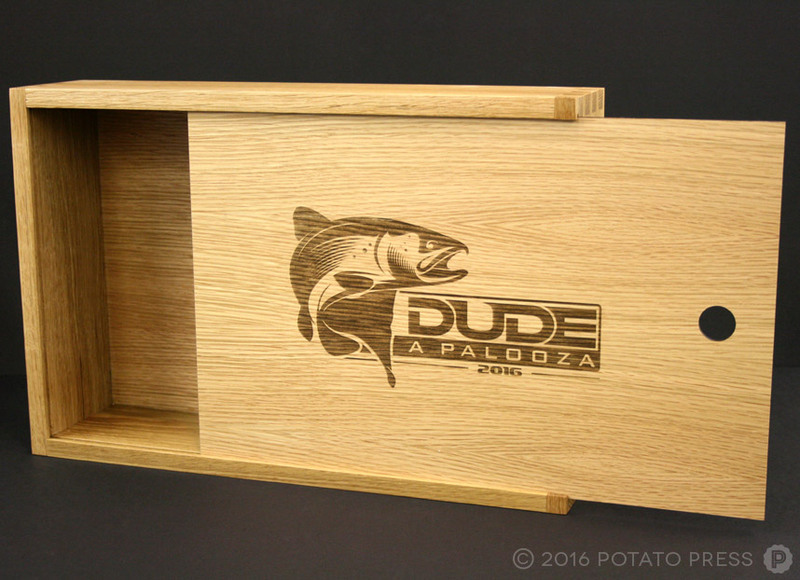 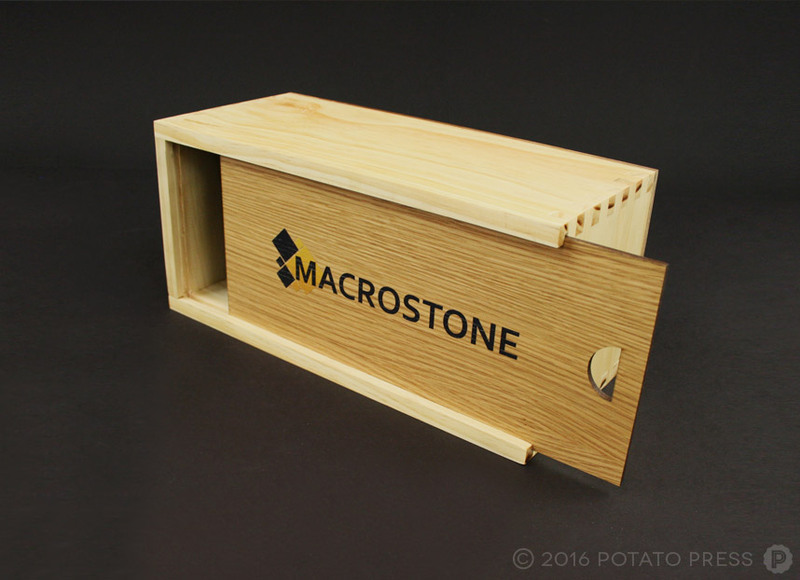 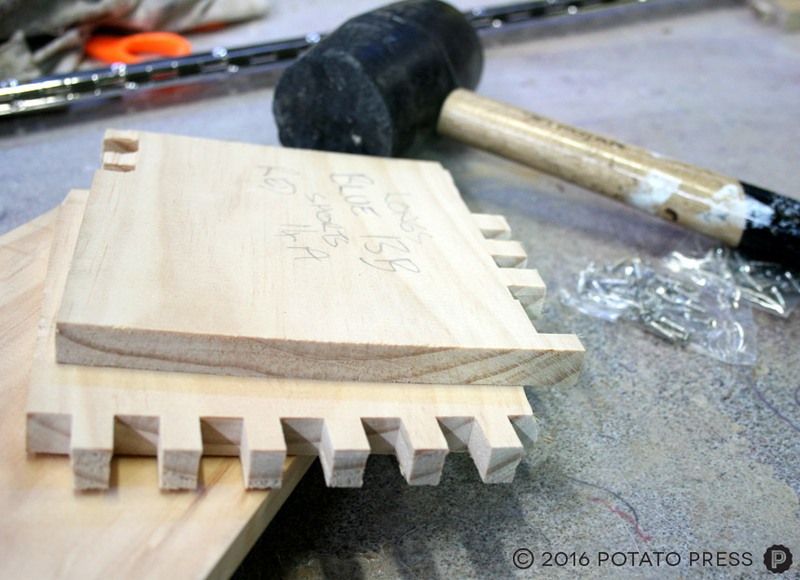 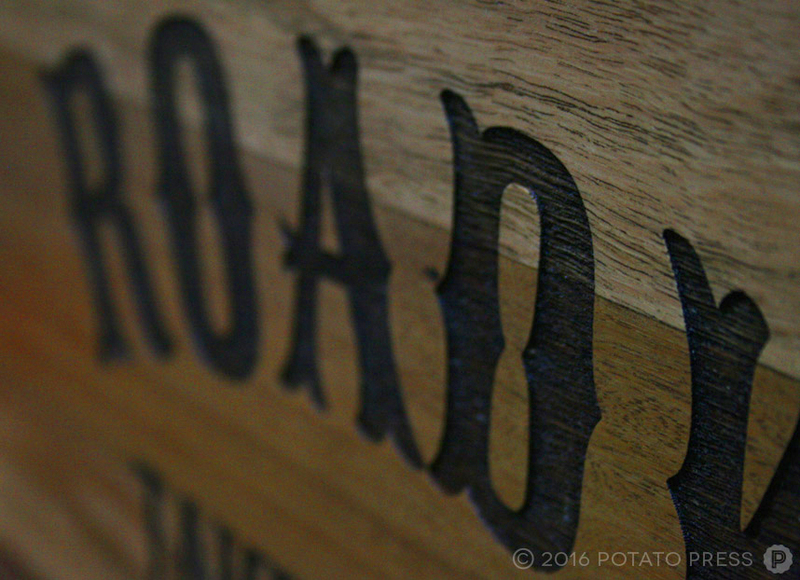 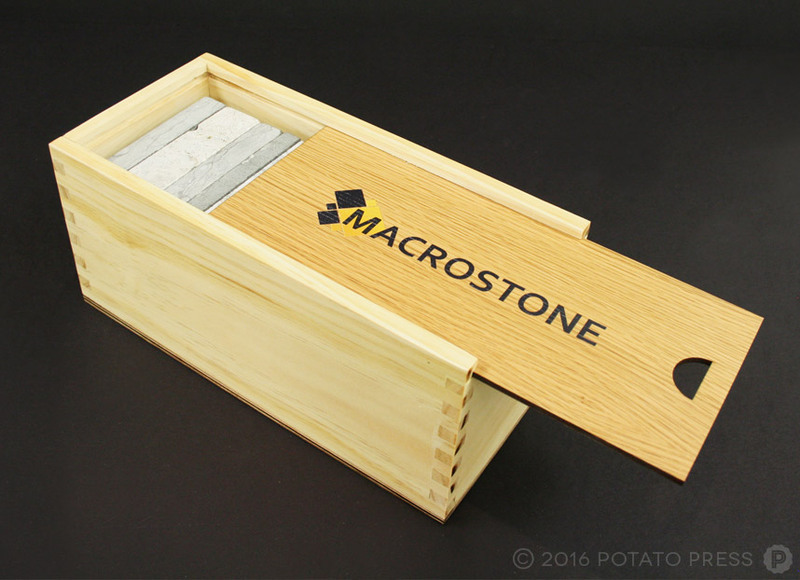 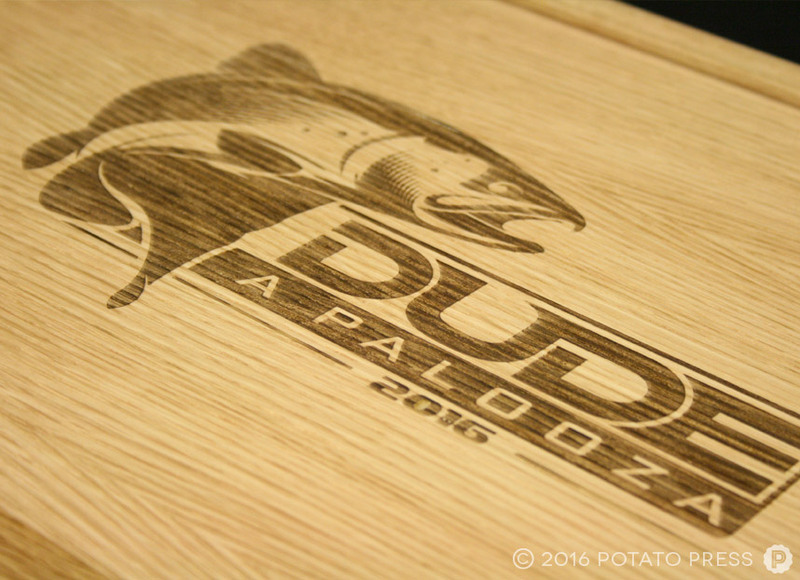 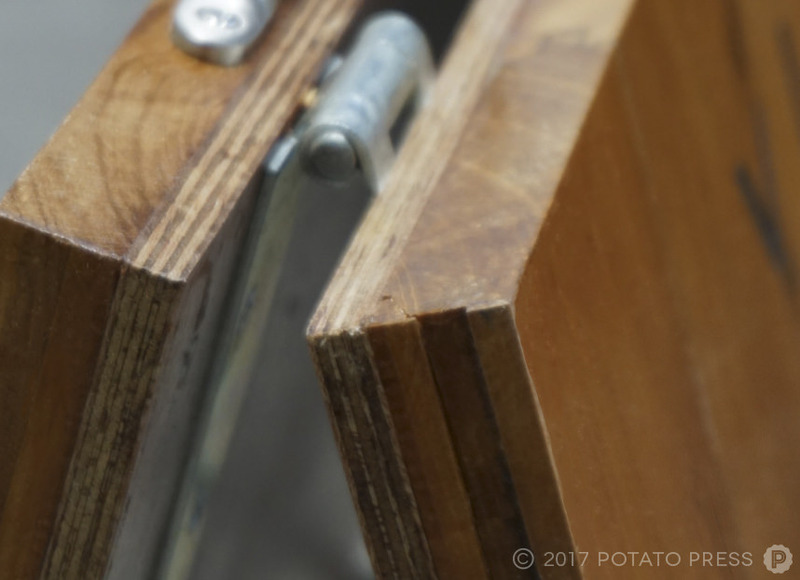 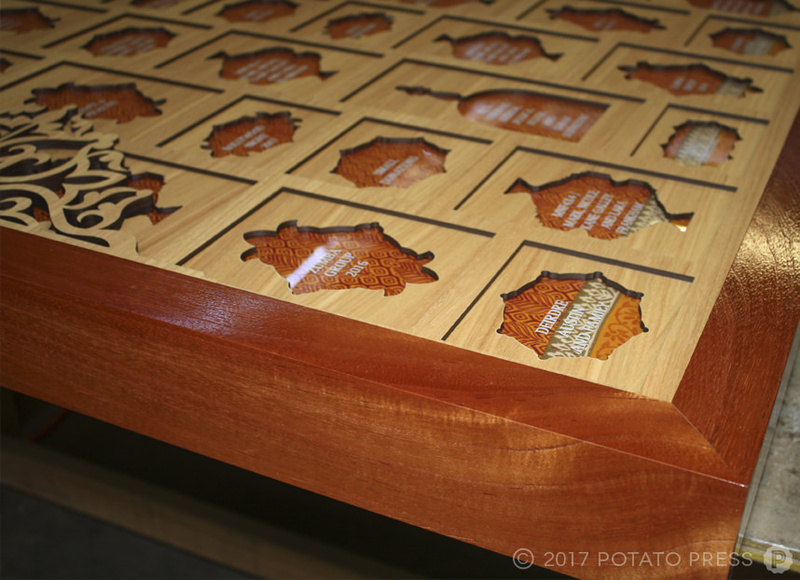 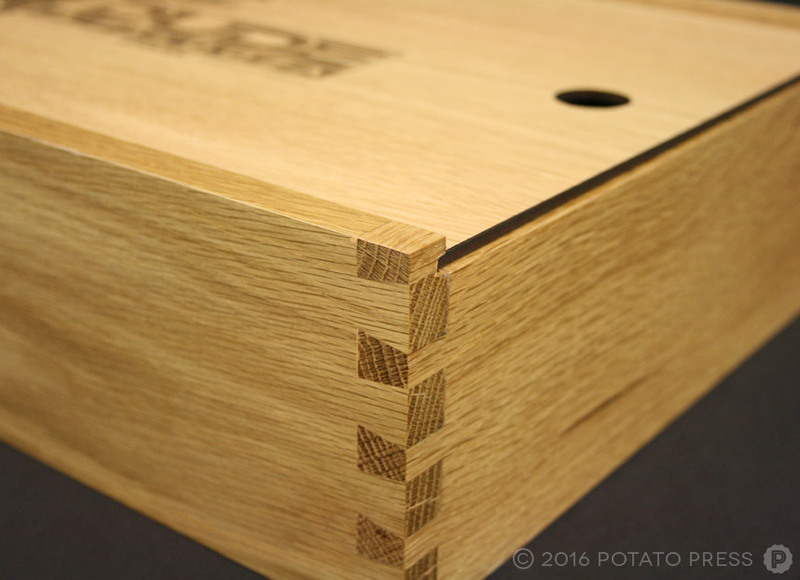 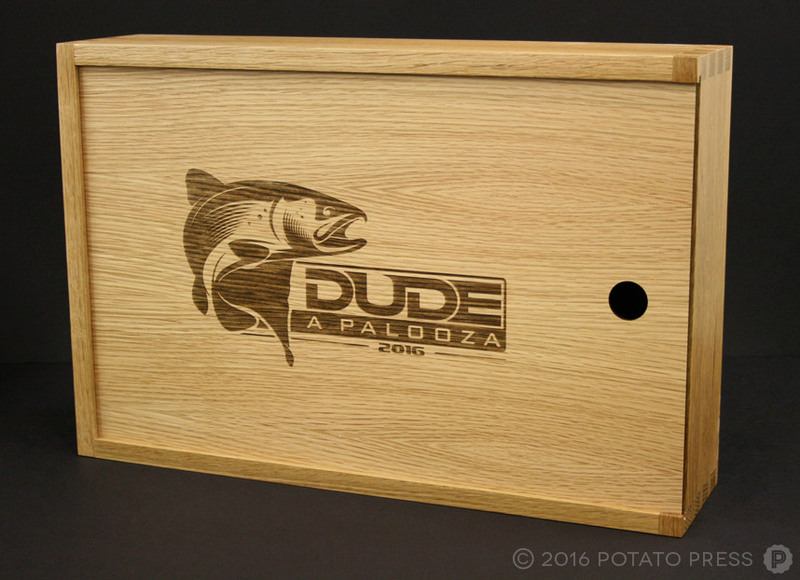 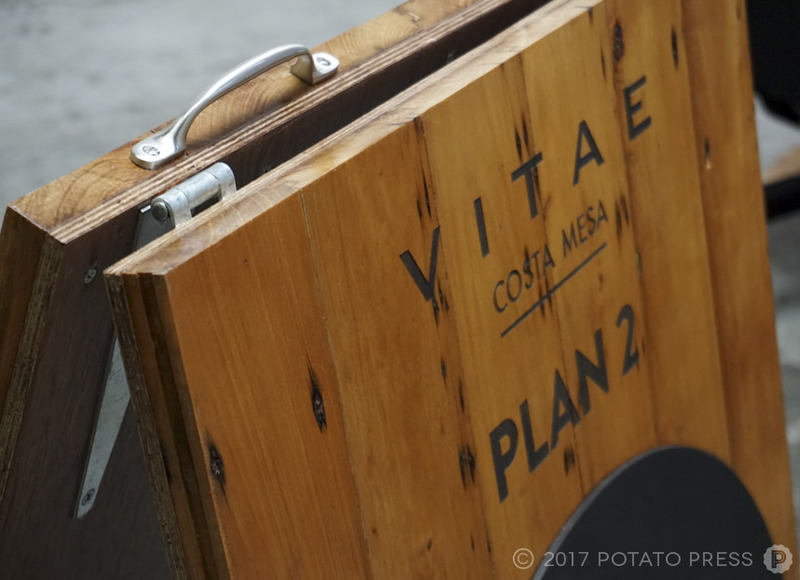 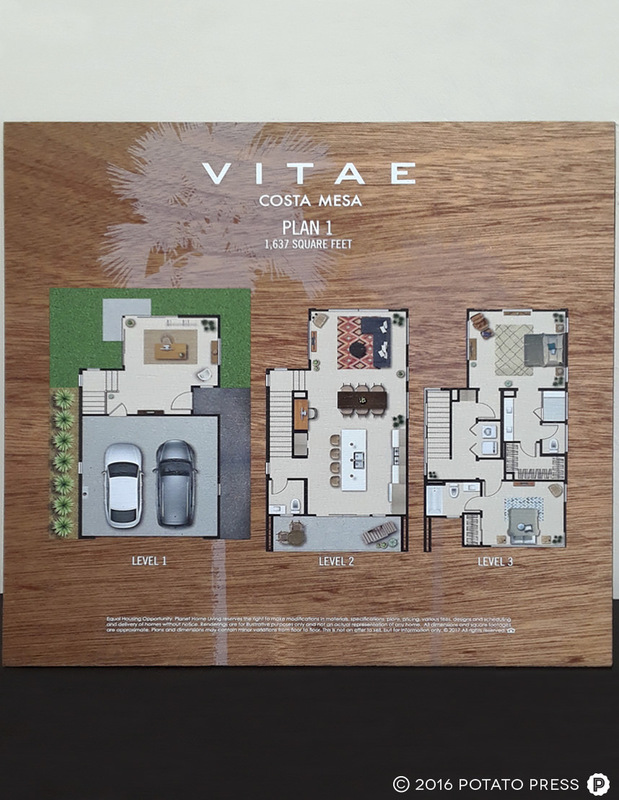 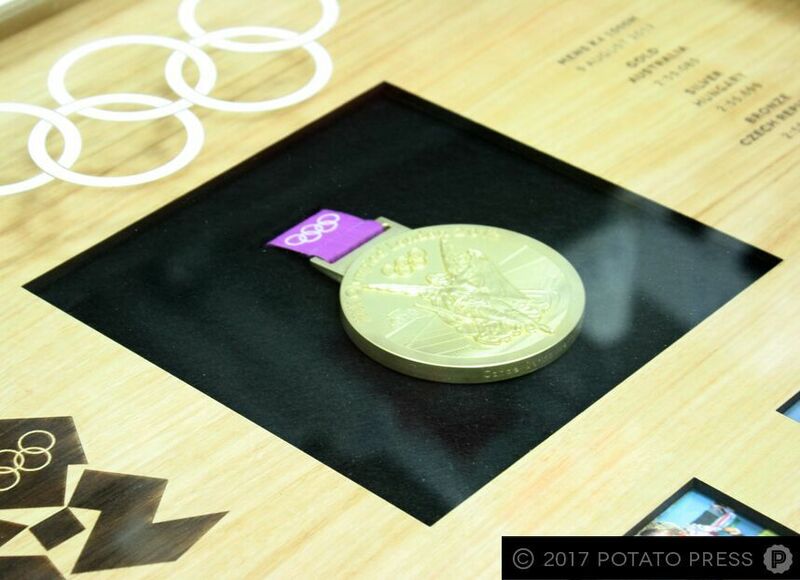 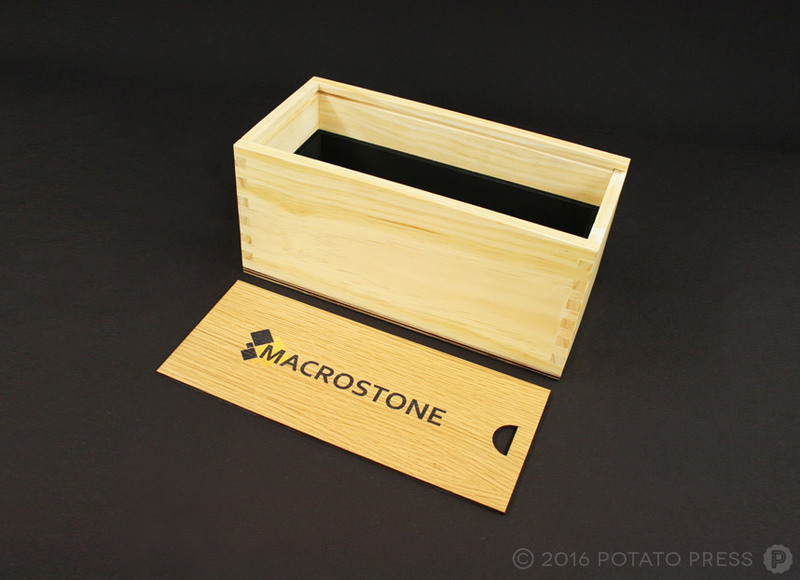 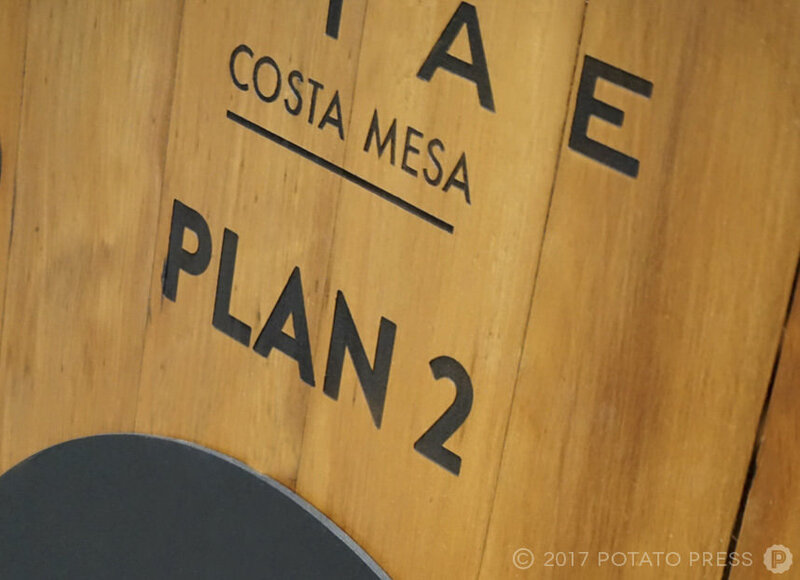 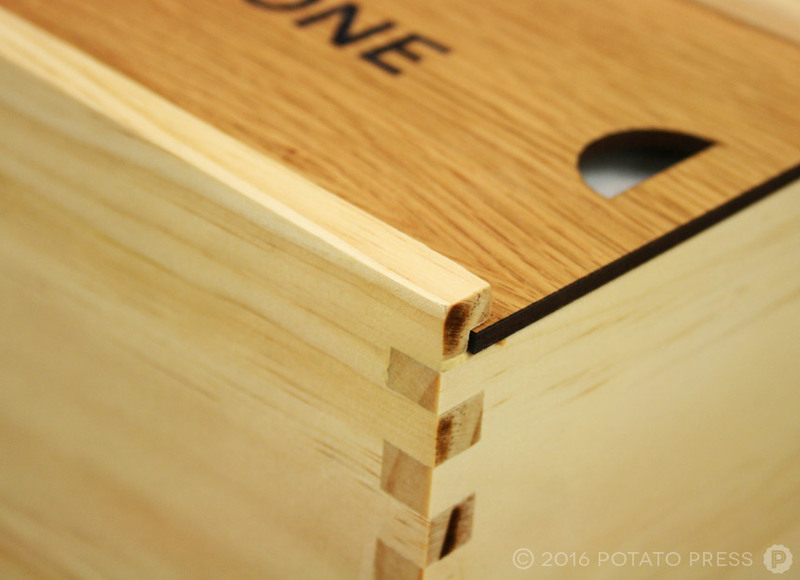 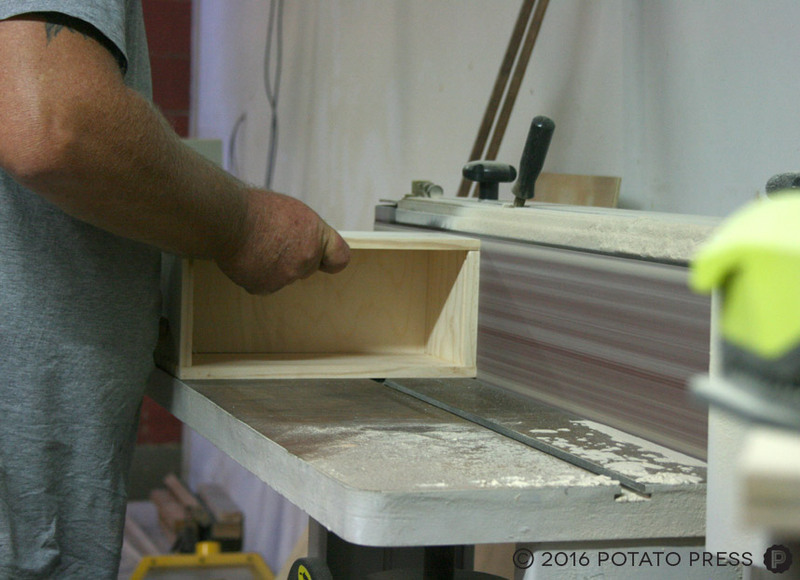 The custom wooden box features a laser etched image, detailed joinery and dovetail corners all constructed from American White Oak. 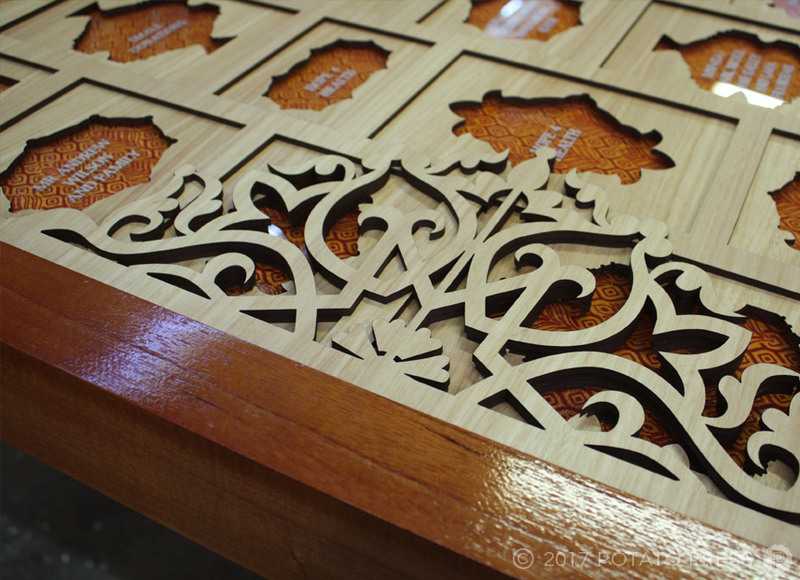 Here’s another project that required some problem solving, which we love doing! 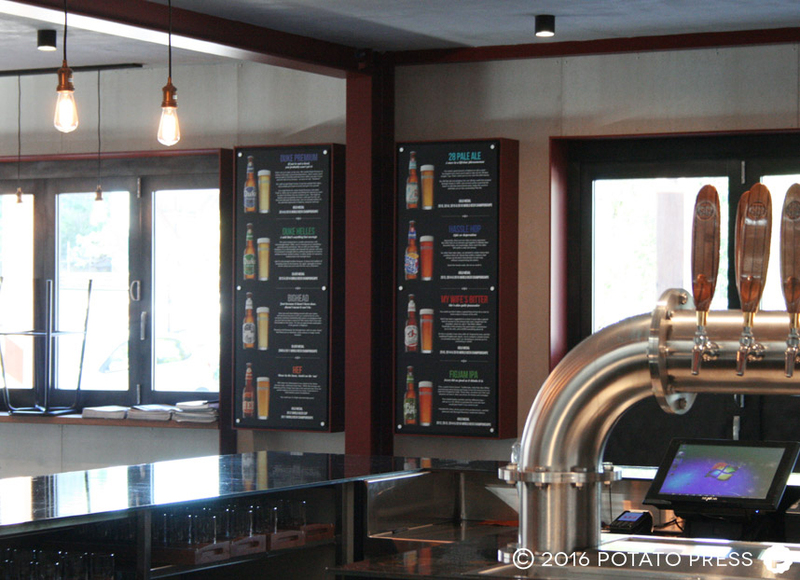 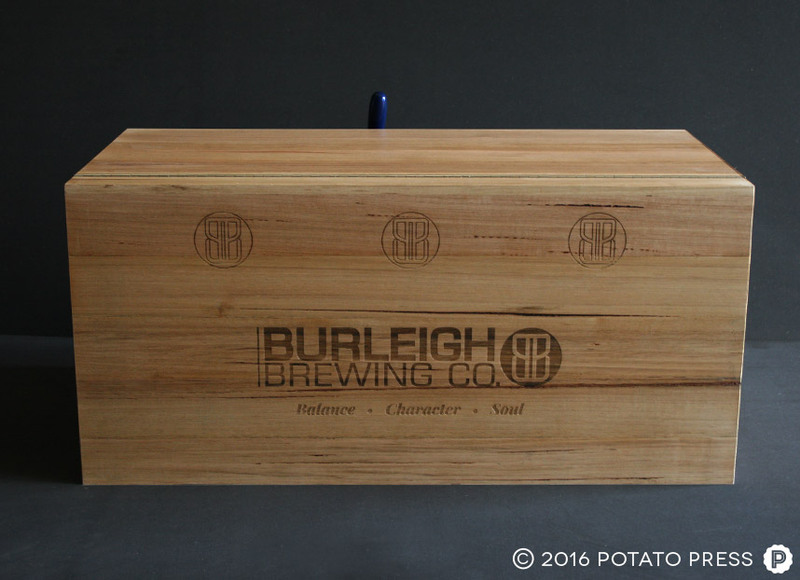 This time it was for Burleigh Brewing and their keg beer cooling system they use when they are offsite at events. 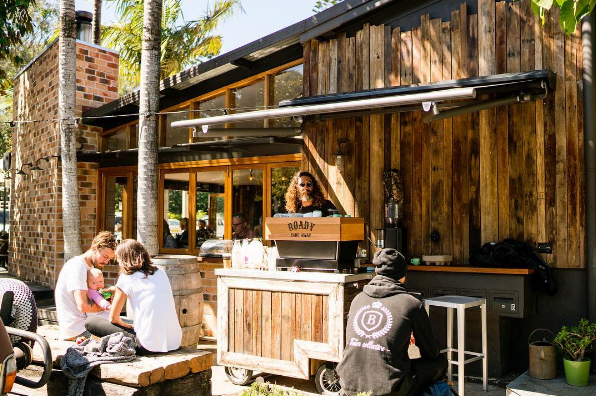 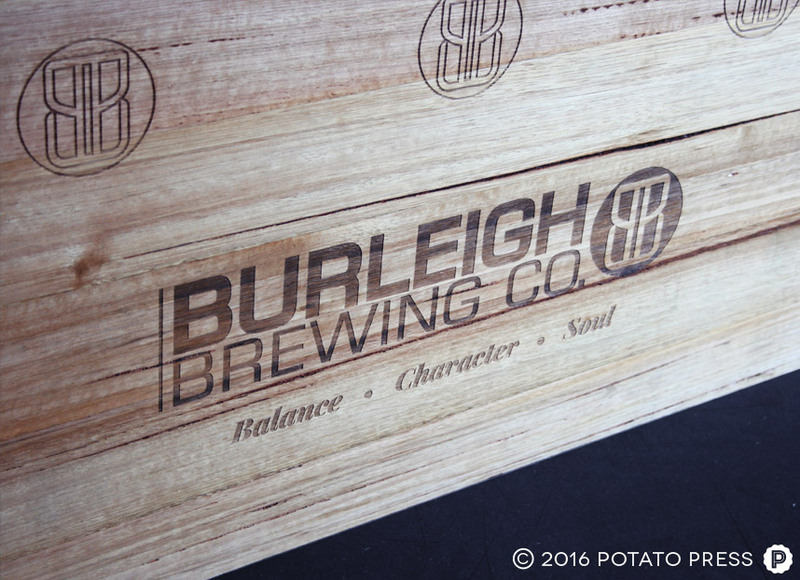 They wanted to cover the eyesore which was the blue esky, so that the potential customers would be able to see something nice with clear Burleigh Brewing branding. 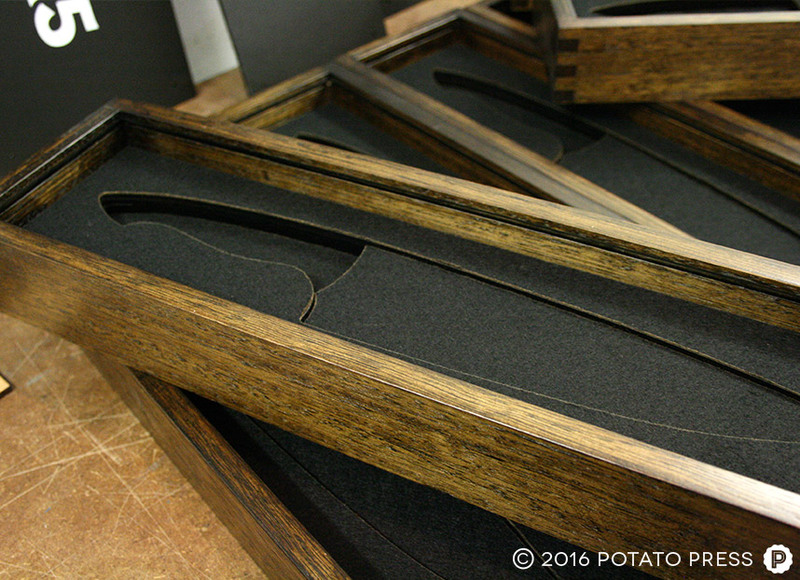 The cover had to not only look good, but needed to function and be easily setup. 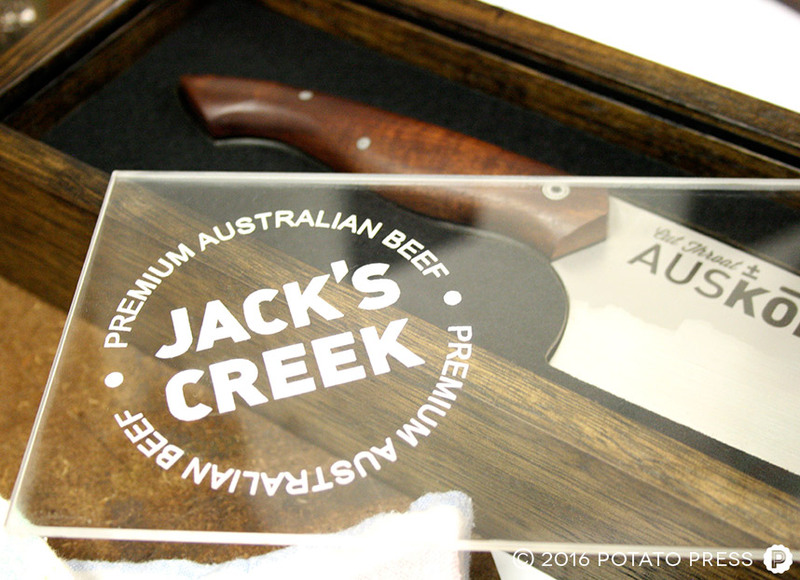 So we came up with this timber surround with laser engraved logos. 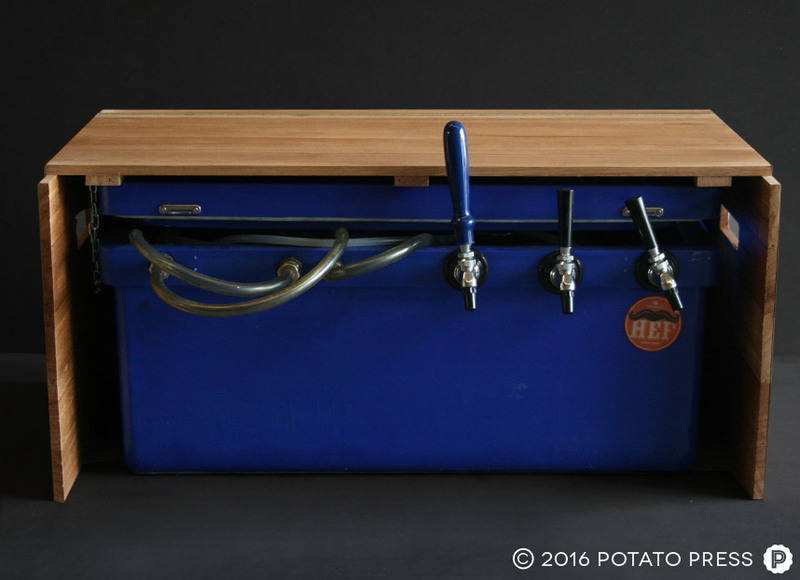 We added a hinged lid and handles which aided in setup and access to the internal system while serving beer at events. 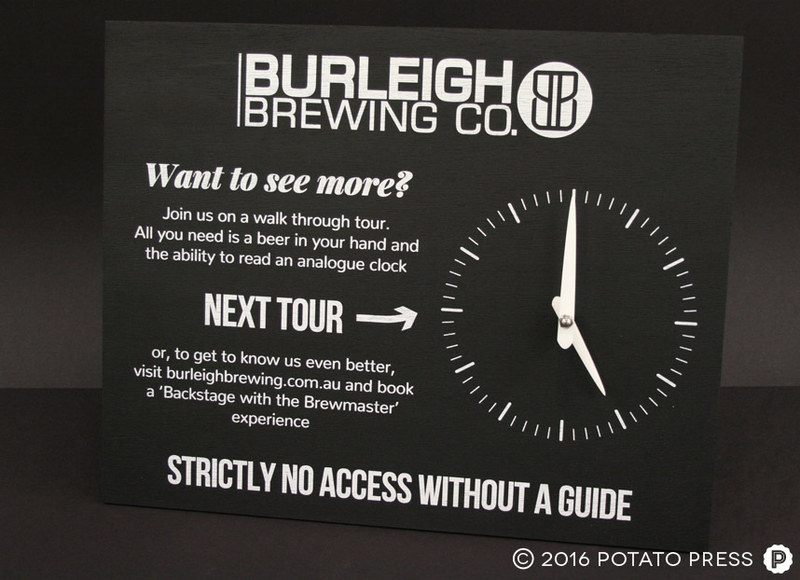 Keep an eye out for it at craft beer events and stop by for a cheeky brew. 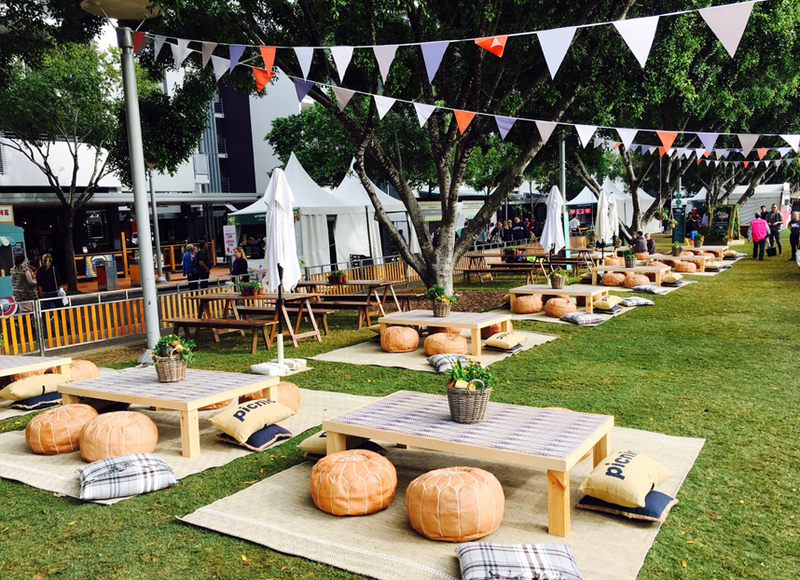 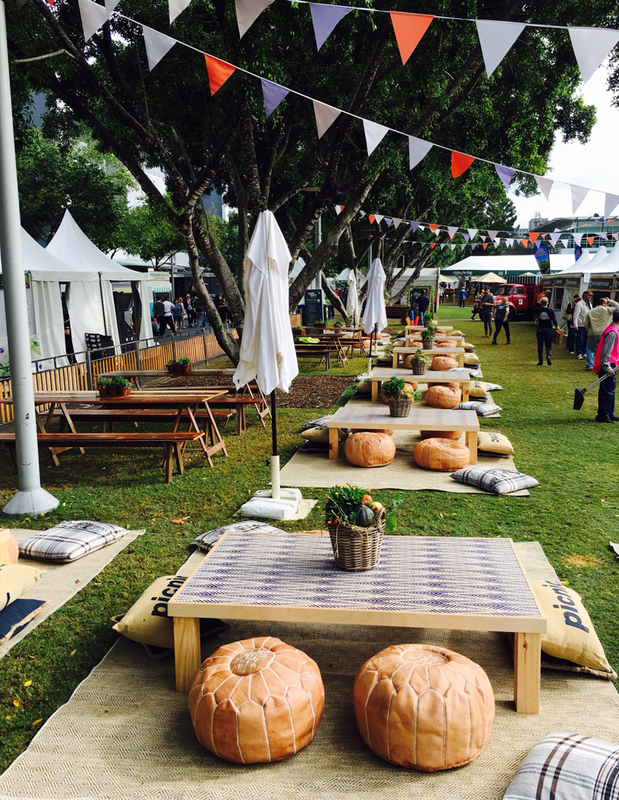 Regional Flavours happened on the weekend up at South Bank in Brisbane; and they always have fantastic fitouts every year. 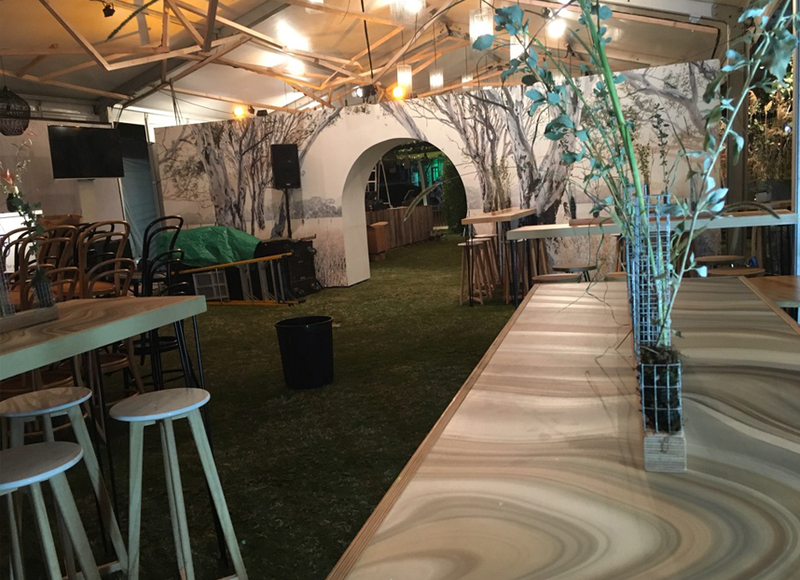 We were given the opportunity to create some custom made furniture to suit the style of the venue for The Hunting Club. 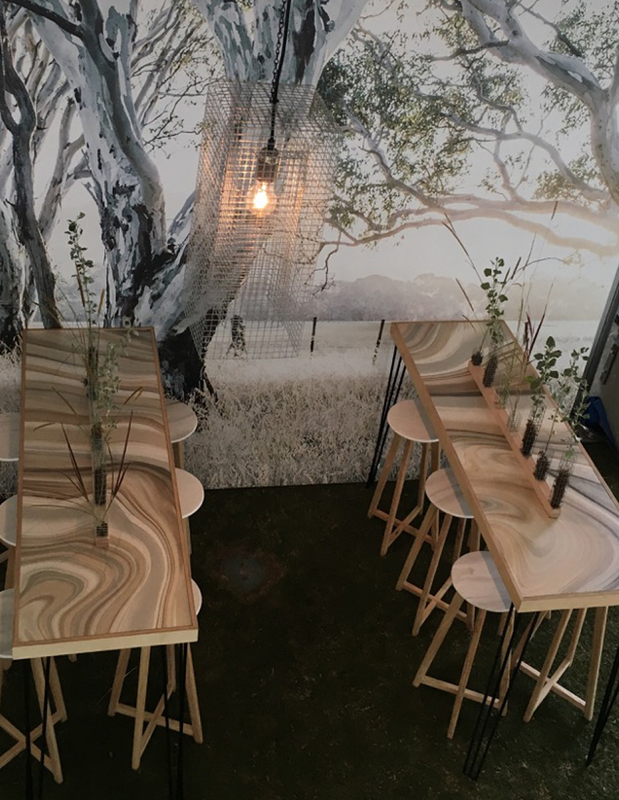 Using a combination of printed elements and bespoke joinery, there was a great feel within the space. 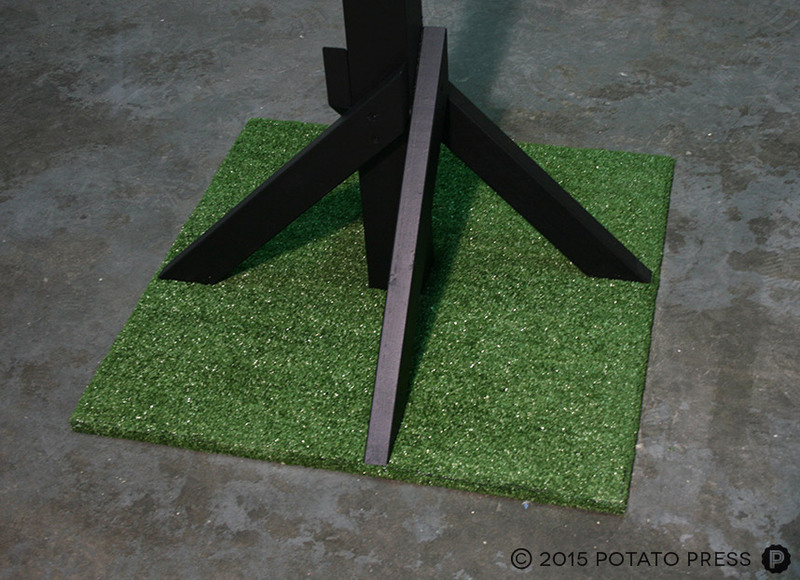 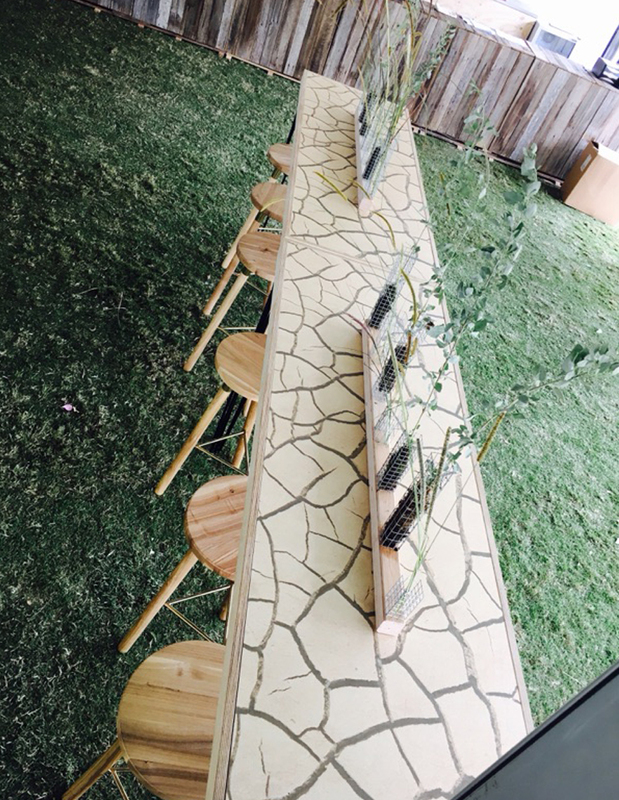 This was another project during Regional Flavours for the Picnic Patch area with some smaller custom tables we created. 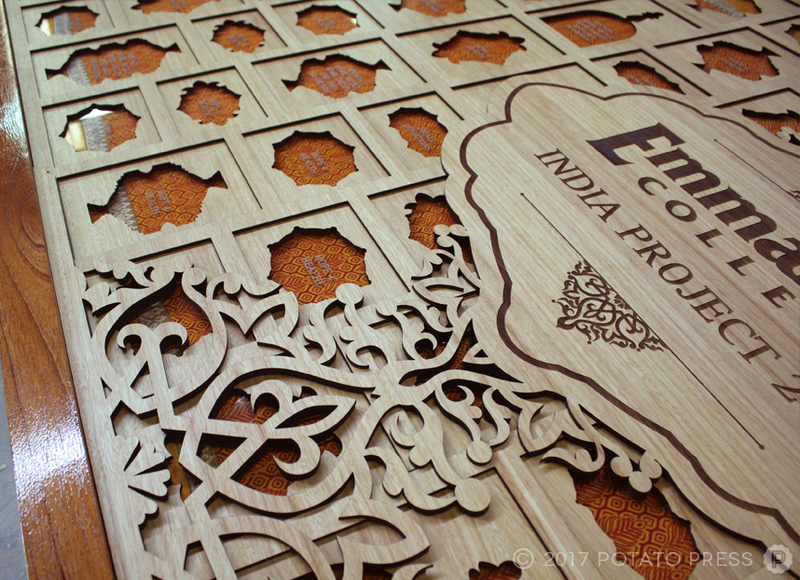 With the combination of all the colours and other elements involved the outcome was fantastic! 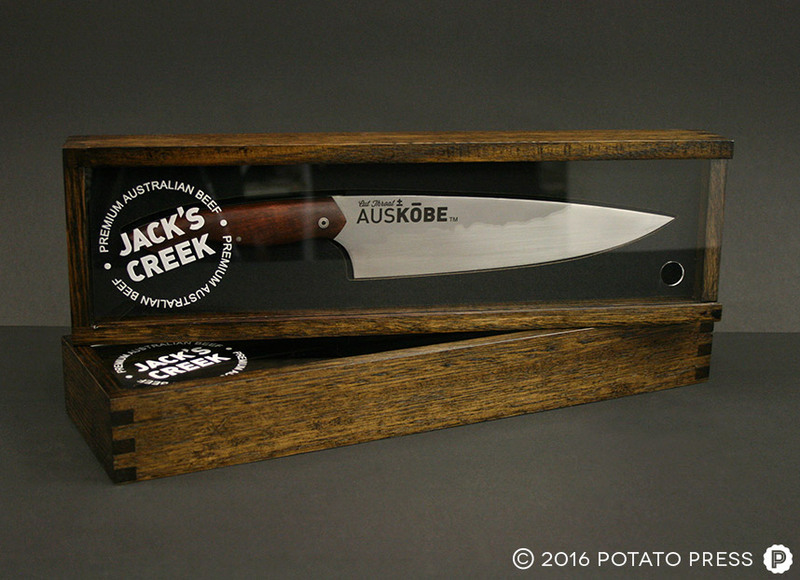 This is a project we put together for Jacks Creek. 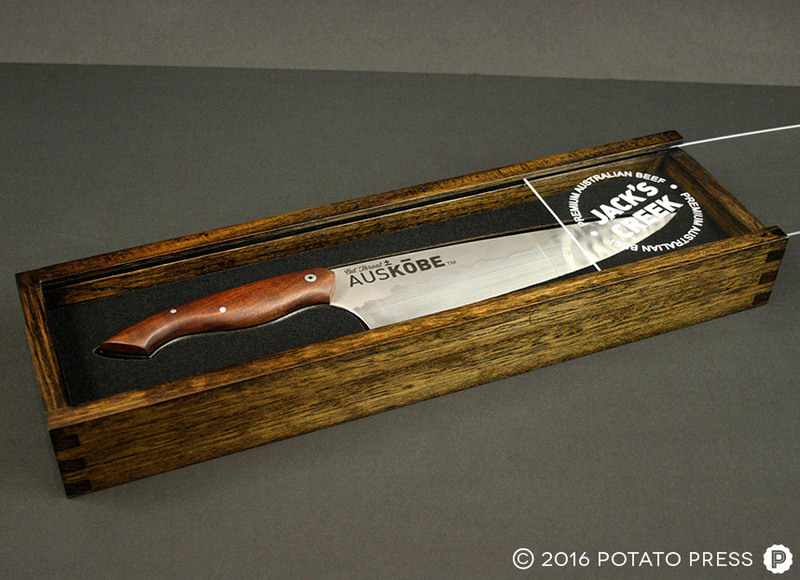 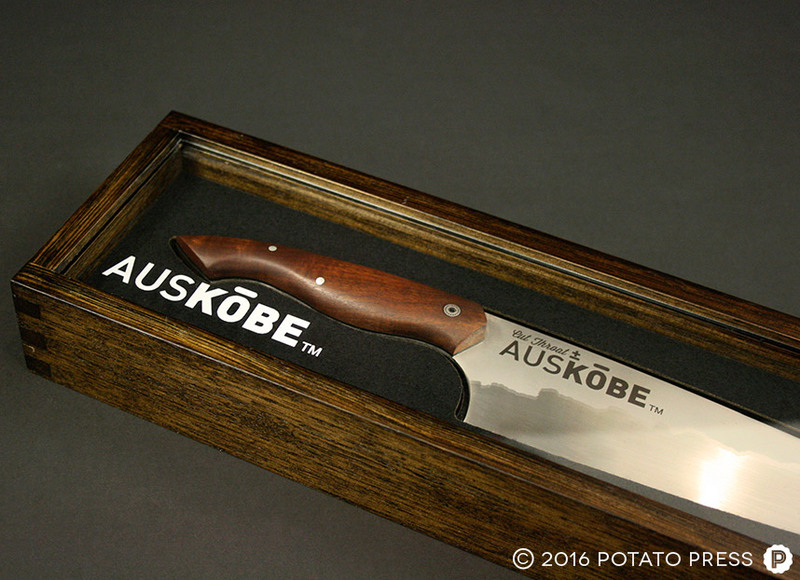 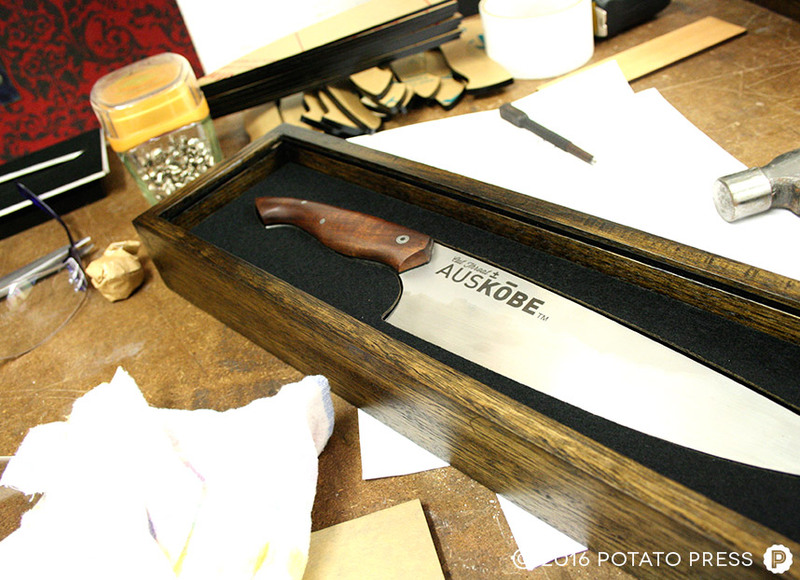 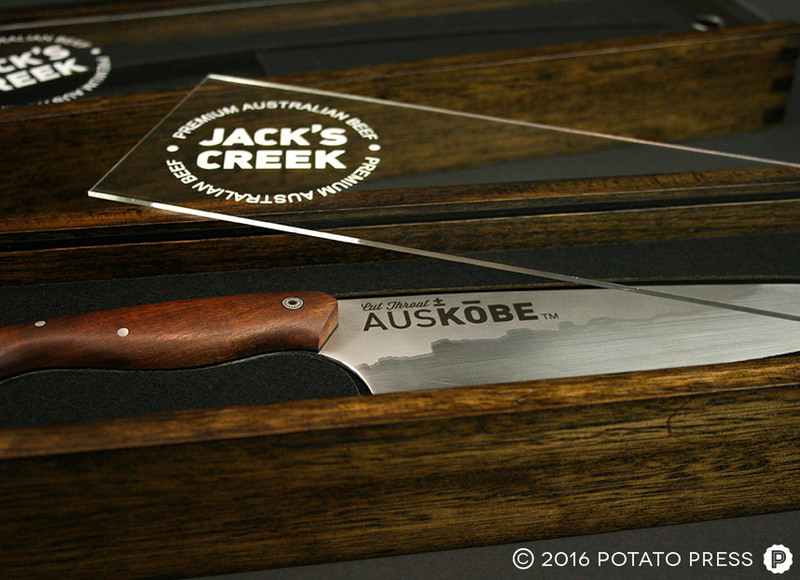 They needed a high-end box to display their AusKobe knives, which they give to their clients as gifts (or as threats). 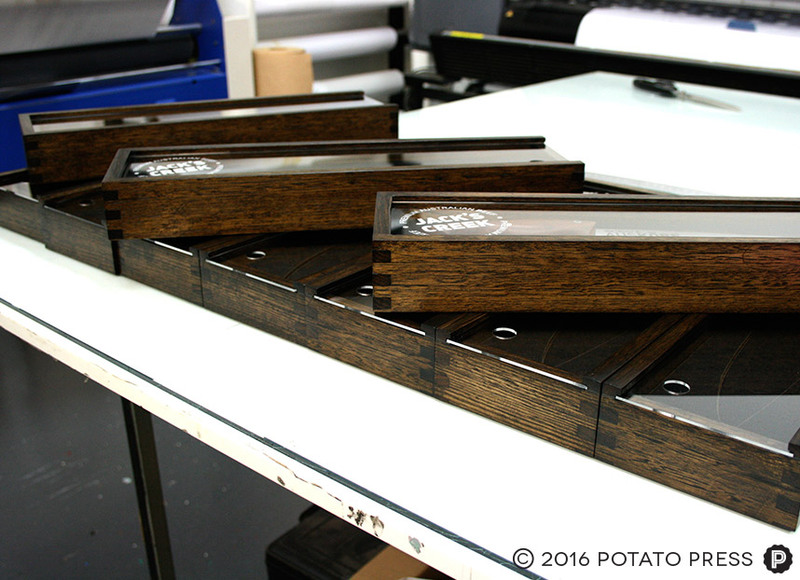 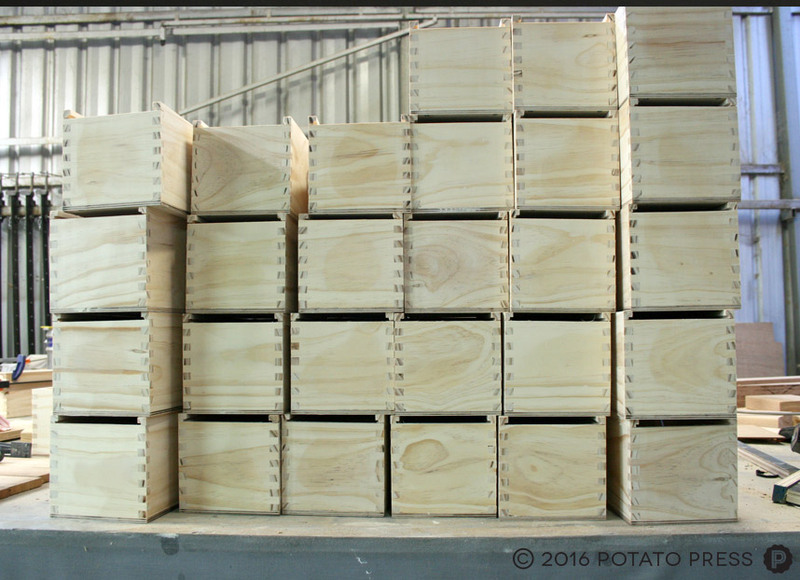 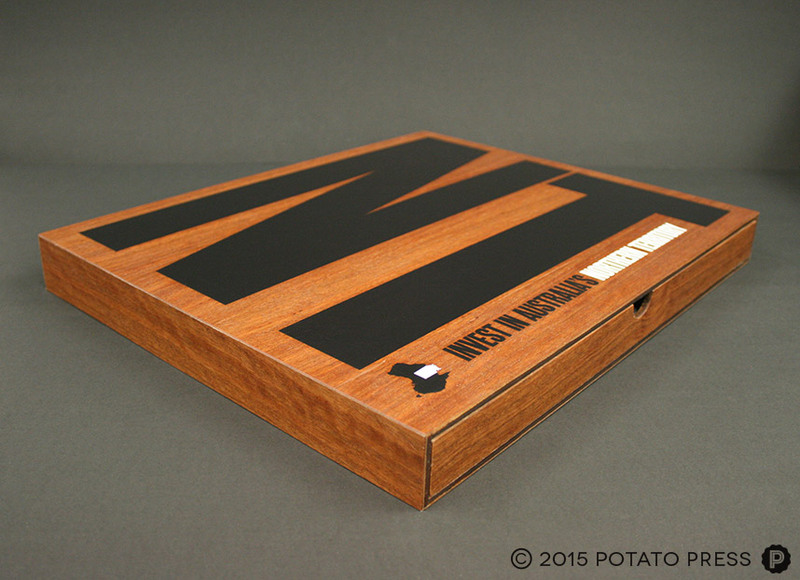 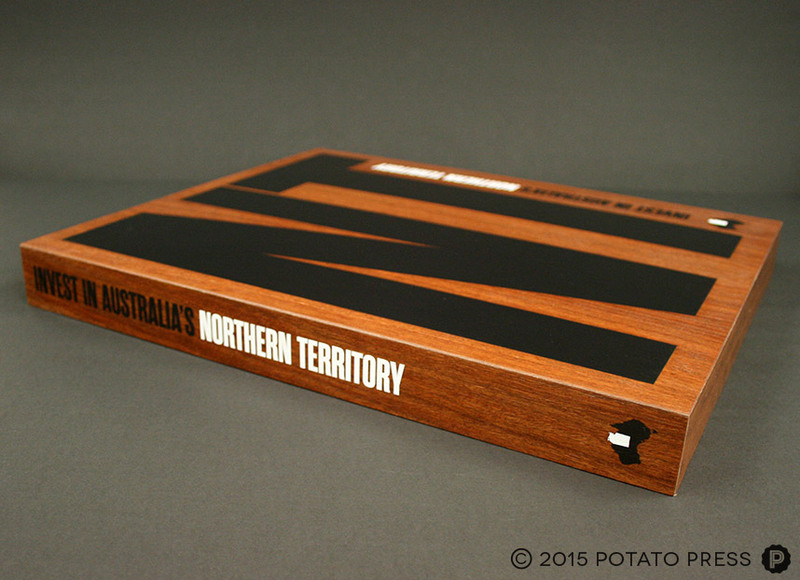 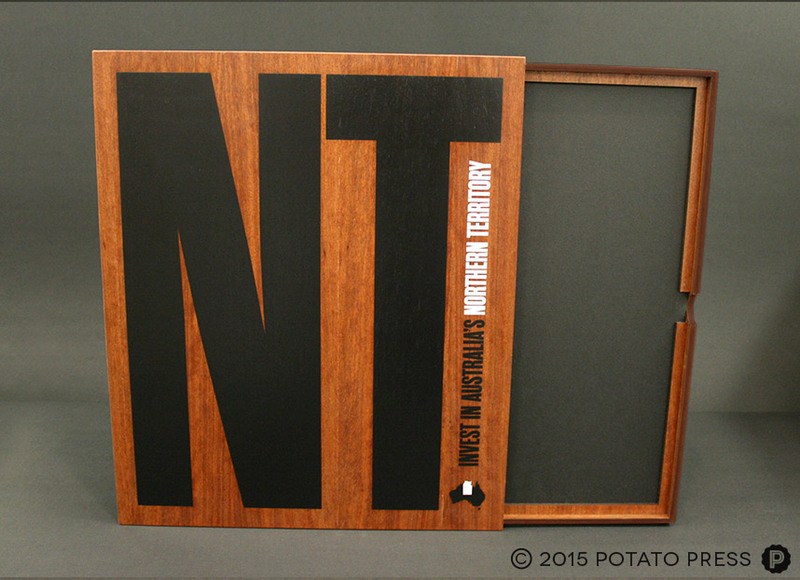 We designed these timber display boxes made from Tasmanian oak with a black japan finish. 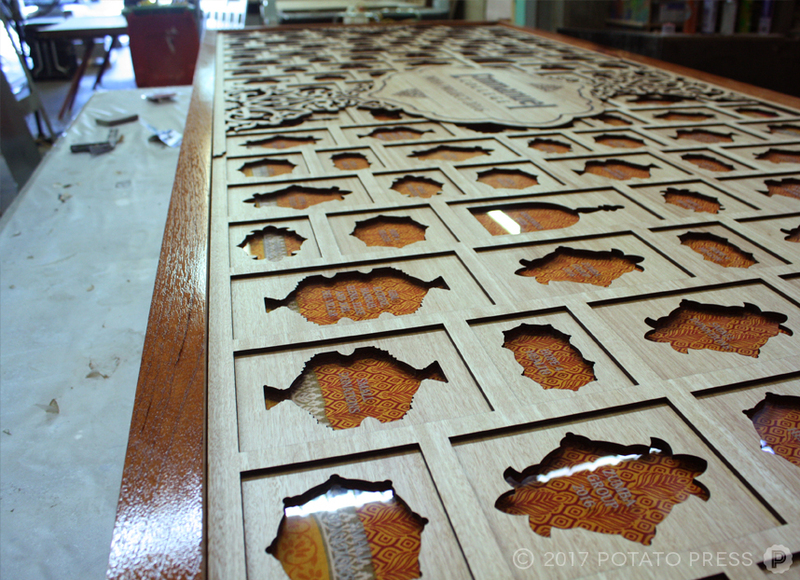 Laser cut felt inlay, custom designed to the shape of the knives. 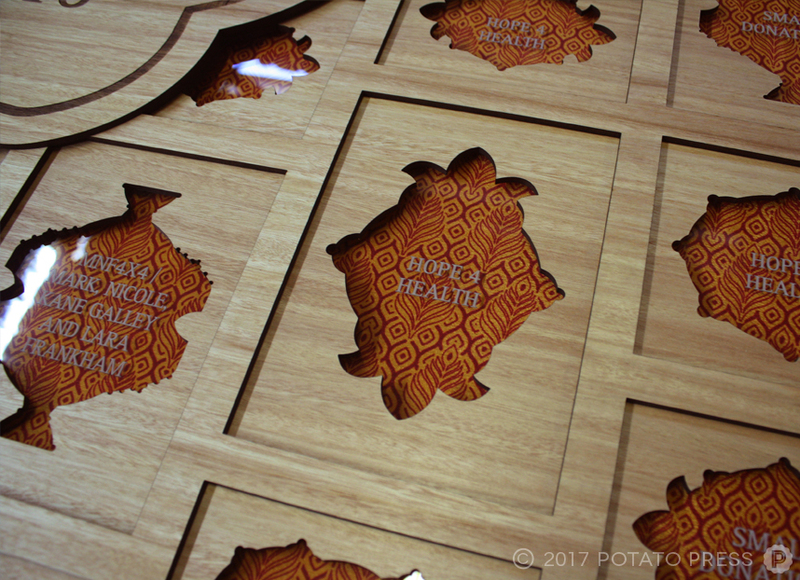 Finished off with a clear acrylic (Perspex) lid with a revered laser etch. 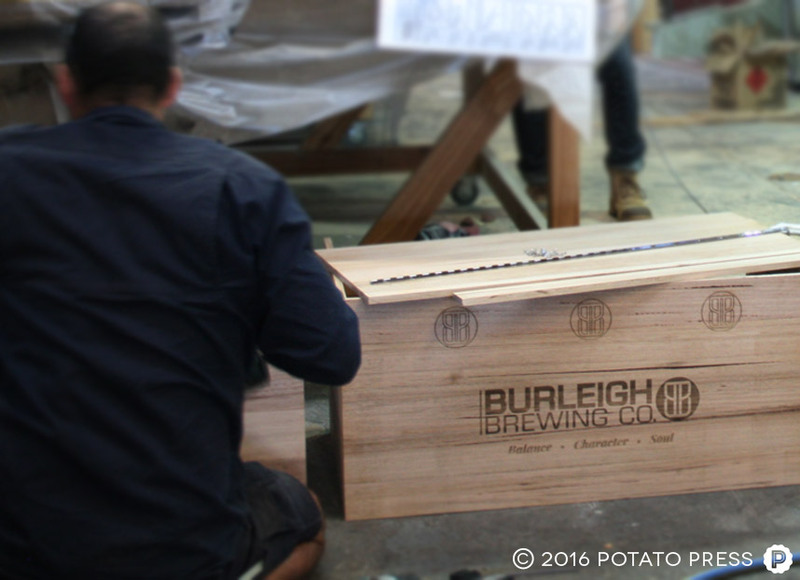 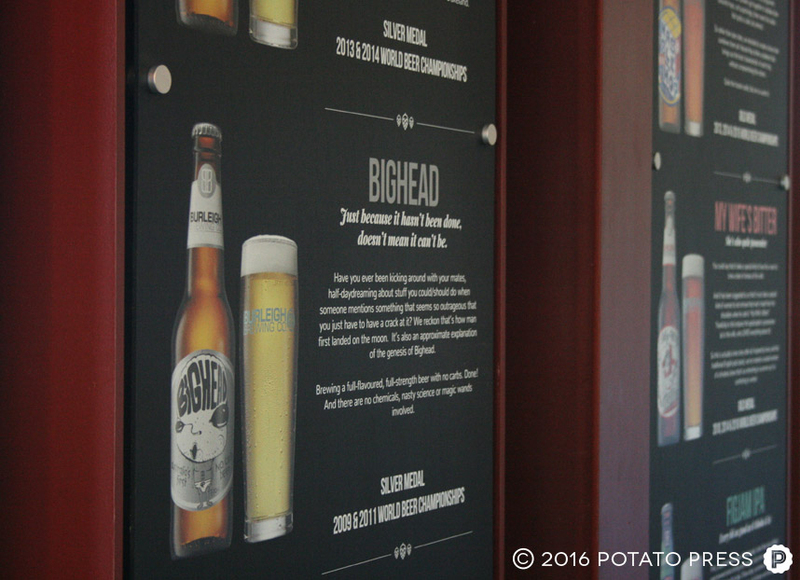 We have done a fair amount of work for the guys over at Burleigh Brewing Co. 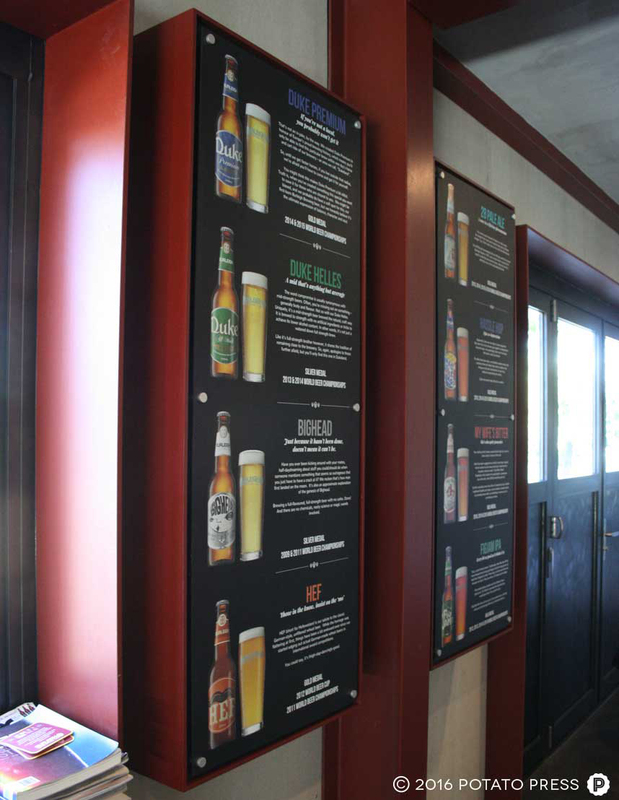 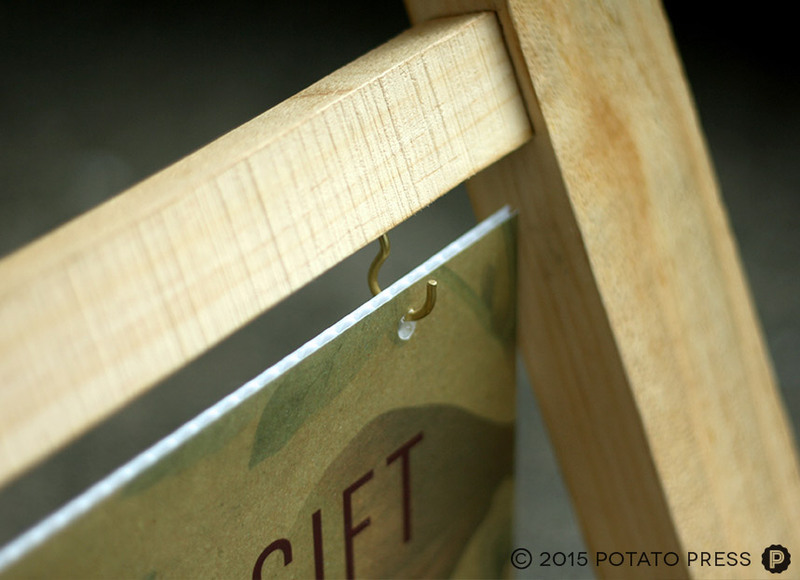 They have a great brand and look that we love to work with; clean, simple and effective. 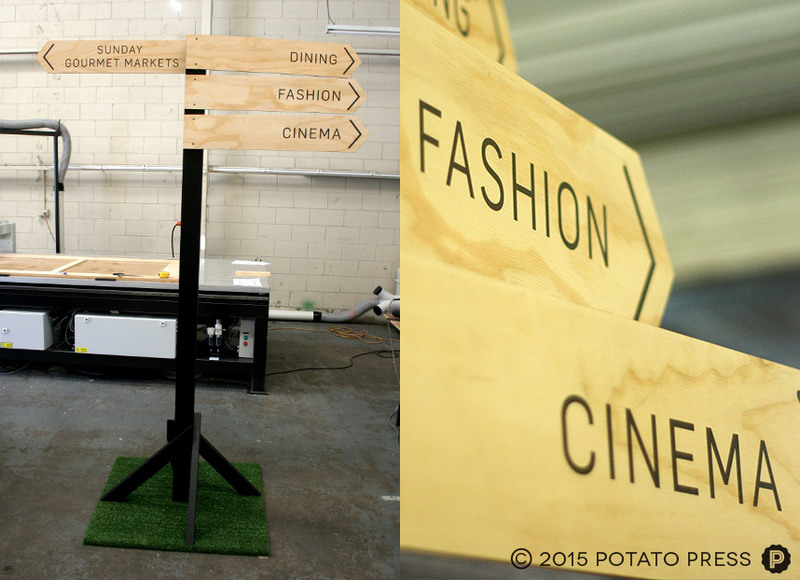 Here are some custom directional signage we did up for the Sunday Markets at Chermside Westfield. 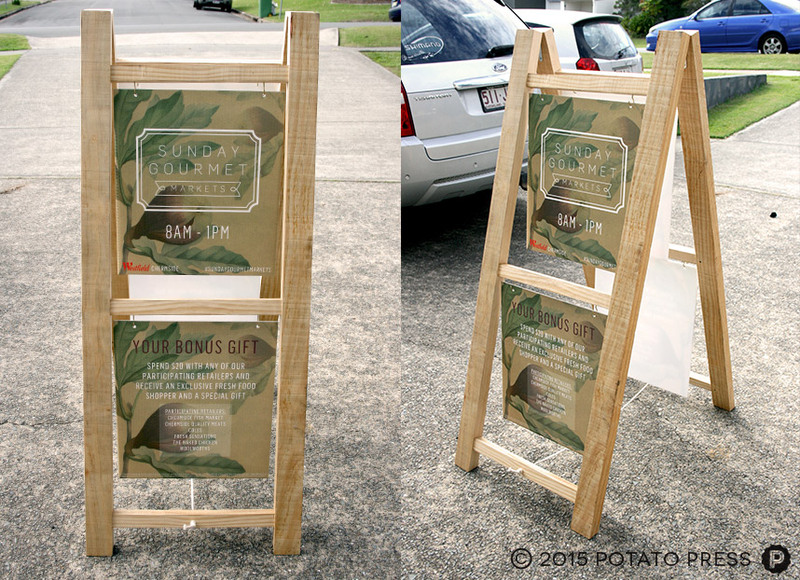 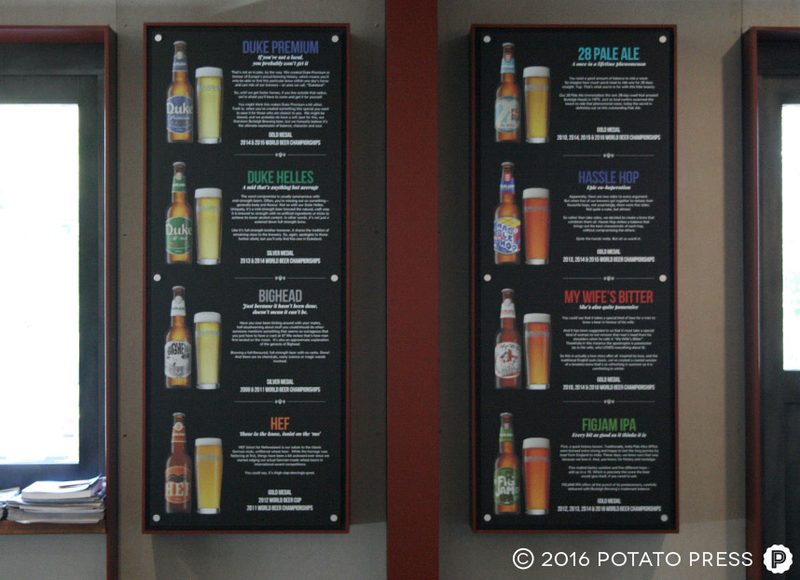 One part of the job was the custom signage a-frame with interchangable printed sign panels. 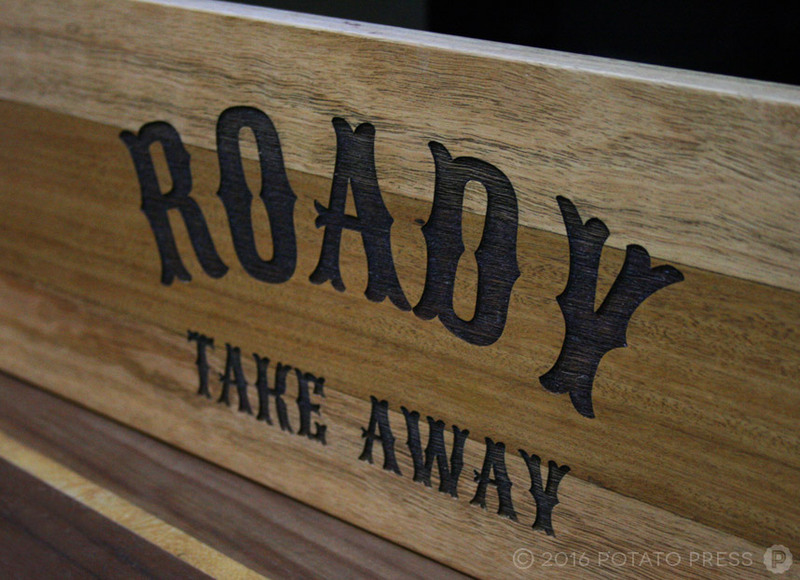 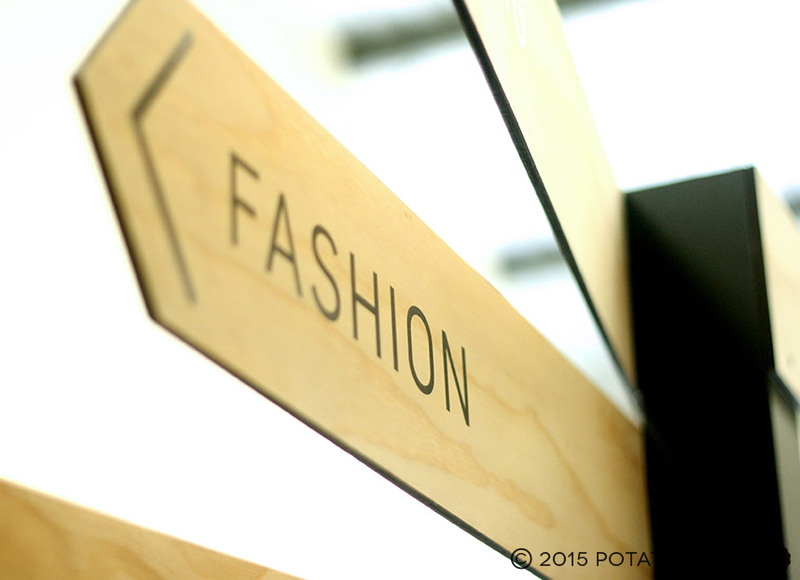 The other were the free standing sign posts with printed timber directional signage.